Brian is an avid follower of online industries, with a special focus on retail platforms. He believes that E-Commerce will one day surpass brick and mortar stores in the modern world. There are many misconceptions people have when it comes to working with an overseas development team. In this article, we’ll go over the myths vs the reality of working with a competent offshore team. 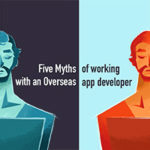 When people are looking to hire app developers, they are sometimes steered away from considering offshore options by the belief that an overseas development team will cause communication issues. The overseas workers that people will primarily interact with have many years of experience working with western businesses. Due to the globalised nature of most industries, not only are overseas employees already well versed in the needs of their respective clients but are fluent English and international business jargon. Some places, like CodeClouds due to our multiple global locations, require that all communication in the office is conducted in English. The job market is very competitive in overseas nations which allows the companies like ours to only hire developers that are fluent in English with effective communication skills. These days, language is much less of a barrier in the offshore tech industry. The IT industry is constantly evolving. As we move to a much more globalised industry it’s much more common for people from many different backgrounds and cultures to work together. As with any office environment, offshore companies embrace all cultures and we find cultural differences rarely affect business operations in any meaningful way. As a client of a purely offshore or mixed company like ours, you won’t be their first international customer, and the developers will have a lot of experience with many clients from around the world. Companies like CodeClouds, whose client base often differs in location of their employees, have experienced HR managers that influence the hiring process and every day operations of the business. Their purpose is to bridge any minor cultural divide and make everyday interactions as smooth as possible. 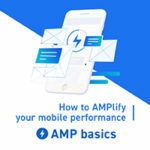 Time-Zone Differences and long distance communication have always been fair concerns when considering hiring app developers offshore, but with major advances in the availability and reliability of communication technology this is no longer much on an issue. With applications like Skype, Slack, and of course traditional Email, people now have easy and reliable ways to contact their international team with minimal disruption. These same communication methods are often used among employees in the same office these days. In addition, it hardly differs from your options when hiring more localized developers- most of your communication will be text chat, email, or calls. You are certainly not going to drive to their office for every update! Time zone differences can be a hindrance, but it all depends on how the operation is run. There’s advantages to companies with differing time zones, especially ones that cover multiple different times internationally like CodeClouds. 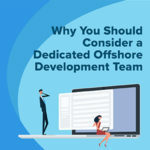 Some critical members on an offshore development team may work a shift closer to your local time. In our case, since we cover many time zones, we can offer at minimum 18 hour support 5 days a week. We make sure enough time overlaps between all of our teams in our 4 global locations and our clients for proper meetings and evaluations to take place. This also provides a good advantage to clients with larger projects that need constant updates and maintenance. Requests for updates or new tasks can be submitted at the end of your work day and be ready for review by the next morning with overlapping office hours for any needed communication! Our US office operates during Eastern Standard Time time work hours, our New Zealand team will be available before the work day is over and good portion of the Indian team will be still working when you start your day. A lot of our clients find this timing to be ideal, and there’s almost always someone to talk to any nearly any time of the day. Around the time of the ‘financial crisis’ about 10 years ago, many enterprise IT companies began laying off their in-house employees and switching over to offshore support staff. Some went as far as getting work visas for new employees to replace their in-house staff at a much lower pay rate. These companies were throwing away their most experienced and loyal veterans that were essential to day to day IT operations and replacing them just for cost cutting reasons alone. Many people had to train their own replacements! Because of this, there’s a stigma based on the still fresh wounds of this outsourcing trend. Hiring an offshore development company is different, however. Where these companies were throwing away their internal staff that supported their infrastructure, most clients that hire us don’t have an in-house team for software development. The software development job market overseas is very competitive, and as a company that also compensates our offshore employees very competitively at a local level, we can choose to only hire and retain the best. The language of coding is international, and where companies that were outsourcing general IT to cut costs to a level that put themselves at the razor’s edge, sacrificing quality and security by not only hiring offshore but the cheapest offshore options available, companies like ours are instead providing the best in the industry. In India’s thriving tech sector everyone wants to work for a company like ours, and only those with a high level of education and experience get that opportunity. 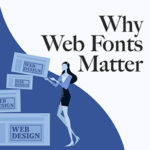 We’re not the option people go to for replacing local developers, we’re meant to compete with them, and even offer higher quality results with our global team. Recent studies showed that there was very little (in any) variation of quality when comparing offshore companies to their native counterparts. Companies that put more money and resources into their staff are the most likely to produce the best product and services to their clients. When considering your options for hiring app developers, speaking with a company’s CTO about their engineering process can deliver helpful insight for determining the quality of the team and the likelihood of receiving good results. 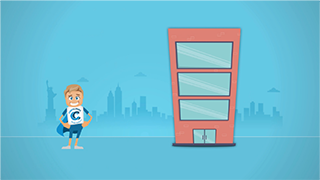 If you have new app idea and are looking for developer, whether you’re wanting to hire a game app developer or have other needs for development, CodeClouds has some of the best talent available in all four of our locations. India now has the highest number of certified developer than any other nation. As recent as 2016 India was ranked second in the number of university graduates in the IT sector. Developers in offshore companies are well educated and have knowledge and experience that rival that of Silicon Valley, and top tier places to work like ours get to pick the best from a large pool of talent. CodeClouds’ developers all have corresponding degrees and multiple years experience in the field before joining our team. With this, we’re able to provide a high level of professionalism and competency for our clients. We only hire app developer candidates who have the right qualifications and experience in the workforce. This expertise allows for understanding and innovation that benefits our clients and company as a whole so we can turn the best app ideas into reality. Any custom web, mobile, CRM, and eCommerce projects are in good hands with our team.